Against a backdrop of economic development and a huge skill-based job market, employment-age youth from India hardly get a chance to be a part of this new economy due to lack of job-specific basic skills that industry requires. To empower this section of the rural mass, Don Bosco Tech made an effort to facilitate the development and upgrading of the skills of the growing rural workforce through the Bosco Academy for Skills & Employment (BASE) programme. Youth from rural India, particularly from remote villages and small cities are hardly benefitting from the vast employment opportunities in this region of India. They face problems related to employment, education and future prospects. Armed with a sub-standard education, limited social skills and restricted information, these youngsters face the globalised world. Since India’s independence, millions of people have travelled from rural India to urban locations in search of work and a better life. However, lack of skills, higher living costs in urban areas, and low income/easier opportunities in the unorganised sector have forced these people to live in sub-standard conditions. Evolving demographics unambiguously point out that India will remain a young nation and the largest contributor to the global workforce over the next few decades. This young mass is India’s demographic dividend. It gives India the potential to become a global production hub as well as a large consumer of goods and services. It is time to become more concerned about the ability of the youth in the age group 18-35 years old to succeed in the labour market. Young people across this age spectrum are struggling to prepare themselves for quality jobs and careers. 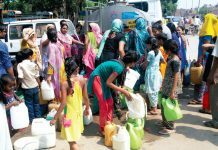 The effort from all spheres is now being made to address various aspects of this critical issue, but these efforts remain in most cases, piecemeal. It is high time for Corporate houses to take it up as a corporate citizenship commitment through innovative models, process and passion to empower the thumb generation. To achieve the mission of Skilling India, we partner with all like-minded organisations and individuals who want to extend their hand for achieving India’s skilling mission. The need for skill-based training for the disadvantaged youth is always felt by the Salesians of Don Bosco. A forum was created to strengthen the vocational training programme in India which was approved by the Salesian Provincial Conference of South Asia (SPCSA), the apex body of the Don Bosco in India. 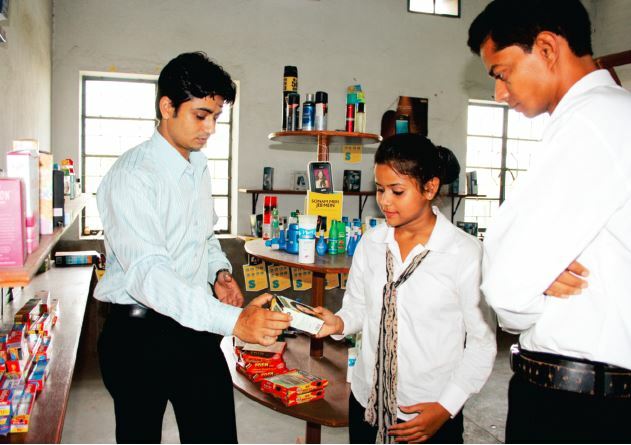 Don Bosco Tech was set up in 2006 with an objective to provide quality vocational training to the disadvantaged youth. We provide employment-linked, market-driven vocational courses of short and long duration to the economically and socially marginalised youth. 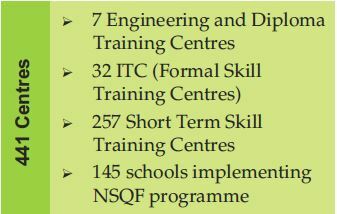 A network of 441 skill training centres, we are arguably the largest spread across 28 States of India. We attempt to bridge this widening divide between those who have access to opportunities and those who are increasingly being marginalised from the new economy jobs. We address this endemic problem with a market-based approach that is sensitive to the socio-economic needs of youth in the 18-35 years age group. We are an example of synchronous social action of various stakeholders, which is aimed at mainstreaming and ensuring economic security for youth who could be victimised by poverty. To enable them to gain a foothold in the competitive job market, we help them acquire the required livelihood and soft skills in an environment of learning and mentoring that is responsive to the individual’s emotional and developmental needs. Unlike inflexible, conventional training courses that do not keep pace with the ever changing job markets, we go beyond rigid curriculum-based learning and adopts flexible, market-oriented learning modules which are administered by appropriate trainers. The trainers encourage the students to develop their inherent capabilities, identify and articulate their strengths and constraints, and develop solutions to solve them in a self-directed manner. Engaging in one-to-one dialogue with the students, the trainers guide them to learn from their life experiences and take responsibility for their own advancement, as well as that of their families and communities. A typical training programme comprises three months’ classroom training covering academic inputs, theoretical concepts and subject knowledge. The curriculum is constantly upgraded and improved with feedback and inputs from industry professionals, in tune with actual industry requirements. To reinforce the students’ learning further, classroom teaching is supplemented with practical training, for which we provide excellent infrastructural support, in the form of state-of-the-art equipment and teaching software. As communication is essential to becoming work-ready, trainees are put through intensive spoken English and work-readiness modules which help them understand the pulse of the industry they are getting into, exhorting them to constantly strive for advanced learning opportunities. The classroom training is followed up with on-the-job apprentice training, which confers a two-fold benefit. The students gain useful work experience by honing their untapped potential/skills, while the employers can mould the trainees to their organisational job requirements before absorption. We facilitate self-exploration by the trainee of his/her inner potential, by devoting exclusive life-skill sessions that include self-evaluation exercises and group/industry interactions that are aimed at better equipping the trainees to face life’s practical aspects. “Unlike inflexible, conventional training courses that do not keep pace with the ever changing job markets, we go beyond rigid curriculum based learning and adopts flexible, market-oriented learning modules, which are administered by appropriate trainers. Nineteen-year-old Rashmi is the youngest among her siblings. Her father is a daily labourer while her mother is a homemaker who works hard to take care of her family. One day when the trainers were on a mobilisation drive, Rashmi was introduced the BASE programme which offers three months livelihood training in the hospitality domain. The trainers explained that the programme is specially designed to enhance the deprived and disadvantaged youth. It also assists them in getting an entry level opportunity in the industry. The very next day, she visited the training centre with her mother and was selected for the training. During the training period, the trainers observed how attentive and sincere Rashmi was during the entire process. She is blessed with an amazing grasping power which she utilises carefully while learning new things. Rashmi was in need of an employment opportunity so she could support her family financially. Hence, she approached Don Bosco Tech. On the day of the counselling, Rashmi shared all her problems with the trainers. Her attitude towards learning and imparting skills is really worth appreciating. The trainers agreed to induct her in the organisation. She joined with the hope of earning basic livelihood, gain experience and work her way up the career ladder with Don Bosco Tech’s help. She indeed proved to be an asset. 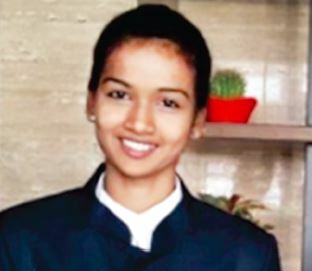 She is now working as a front office executive at Hotel V, Visakhapatnam, earning Rs.11,000/-per month, plus other benefits like free food and accommodation. Her parents are very happy with her success. Rashmi is grateful for the open door that Don Bosco Tech has led her to. She Is very happy to be working in the hospitality industry. 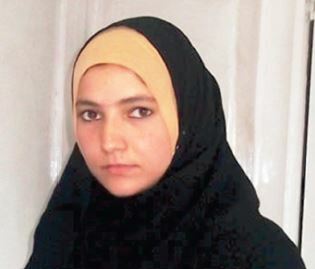 Shaista Hamid and her family of eight live in Baramulla (J&K). Her father is a daily wage labourer. Being one of the older children, she understands her responsibility and thus wants to do contribute financially to provide a better living to her family. But all her attempts fell flat for some reason or the other. One day, as she was trying to look for some source of income for the family, she met a staff member of DB Tech (Baramulla) who was doing some mobilisation work at her village. It was then that she came to know about the free three months’ Himayat Training Programme along with placement, post training, being offered by DB Tech in partnership with MoRD. Her happiness knew no bounds. She was very excited to join the programme right away. After completing all formalities, she was inducted into the training. She took it seriously, was always punctual and completed her assignments on time. It was of no surprise that she completed her training with very good scores. It was during one of DB Tech’s mobilisation activities in Marui village in Mohanlalganj Tahesil, Lucknow, U.P. that one of the staff members noticed a young boy continuously looking at them with curiosity and zeal in his eyes. This young boy politely invited the entire team to his house. After packing up for the day, the team went to his house and received the biggest shock upon seeing the miserable living condition of the family. They came to know that his father is a poor farmer who cannot afford to educate his son much further. This young boy, Ramendra, had just passed his intermediate examination but had to discontinue his studies owing to the poor financial condition of the family. 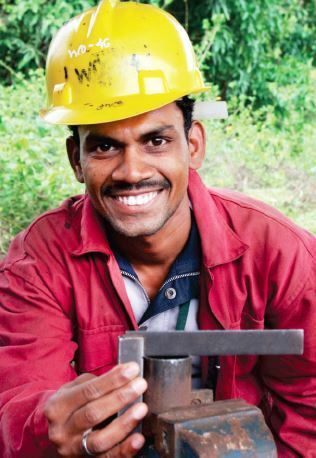 The team even learned about Ramendra’s desire to work so he could support the family. This is when they informed him about about the three-month vocational job-oriented training programme conducted by Ministry of Rural Development of India in conjunction with DB Tech. On the day of counselling, Ramendra confidently filled up the interest inventory that will determine if he can be admitted to the Sales & Retail Domain. 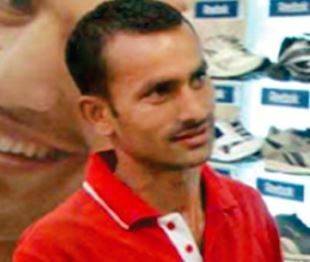 The retail trainers made him aware of the challenges one faces while working in the sector. Work pressure, long shifts and meeting targets are enough to be a deterrent, but one needs to be determined. 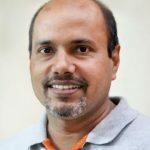 As he was ready to accept these challenges, Ramendra started with his training. He was very consistent, sincere and disciplined throughout that he drew in appreciation from his trainers. As a leader in skills development since its inception, we at Don Bosco Tech reach out to underprivileged and poor youth and provide an opportunity with a life-changing and empowering skill training programme. We not only provide skills training programme in market-driven short-term courses, but also give the trainees placement opportunity that ensures a job with a suitably good pay package and other arrangements, creating a sustainable livelihood. We have partnered with a number of Government and Corporates houses who share the same mission and vision of imparting skill training to the needy and poor youth across India. 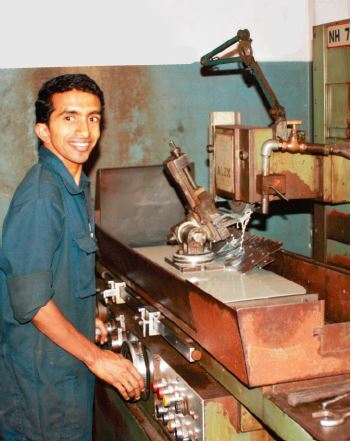 Till date, 390,848 youths have received skill training and a total of 68 percent of them have been placed in many known and renowned establishments in different industrial sectors across India. Progressive steps have nudged us towards the goal that was set up to train underprivileged and economically-backward youth of India. We have placed these youngsters in a spectrum of 812 organisations in manufacturing and service sectors with a salary range of Rs. 4,700 – Rs. 25,000. 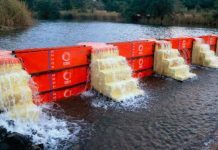 The quality training that we impart to our trainees not only provides them an entry level opportunity but also give them a new lease of life. We have become the preferred organisation for 118 leading companies who always look forward to employ candidates from BASE for their different facilities. We always involve industry leaders in every step of operation; starting from choosing the right curriculum for its domain to recruiting quality manpower for their organisation. Nurturing skills for young people is crucial to the development of urban economies. Because of the diversity of the informal sector, training needs are wide-ranging. 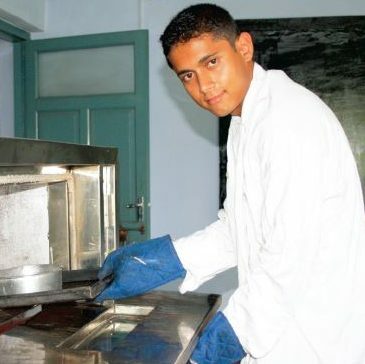 For some youth, the most immediate need is a second chance to develop foundation skills. Approaches that combine basic skills and life skills with social protection can be particularly effective. Many like-minded organisations should pitch into this sector by which their expertise can be utilised in a constructive manner to empower those youngsters who have already achieved foundation skills and need equitable opportunities to develop further skills in a trade, as well as transferable skills to enable them to become more successful entrepreneurs. Yet, most disadvantaged young people in urban areas have low levels of education and skills that consign them to low paid, insecure work in the informal sector. Together with broader macroeconomic, education and employment policies, skills development strategies adapted to the realities of the informal sector can give them a chance for a better future.